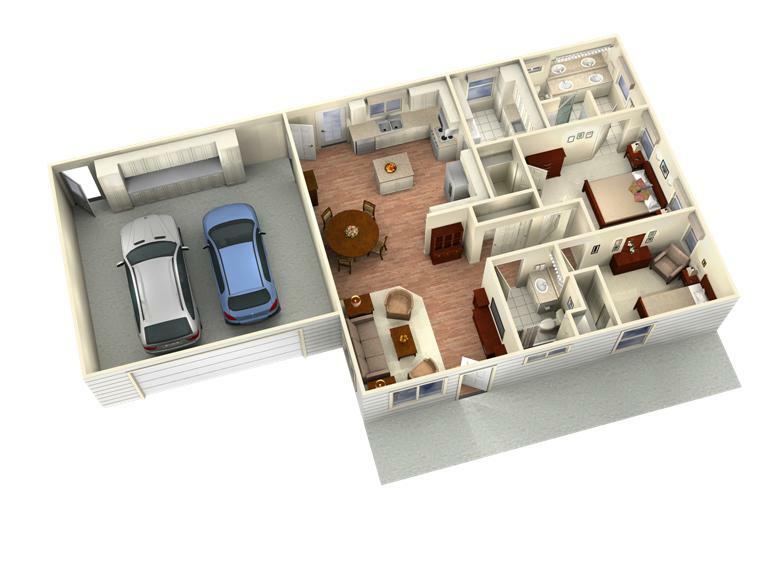 The Bodega panelized kit home features a full front porch that opens up into a spacious great room with vaulted ceiling. The kitchen is centrally located with ready access to the backyard, garage and nearby laundry/storage room with wash tub. 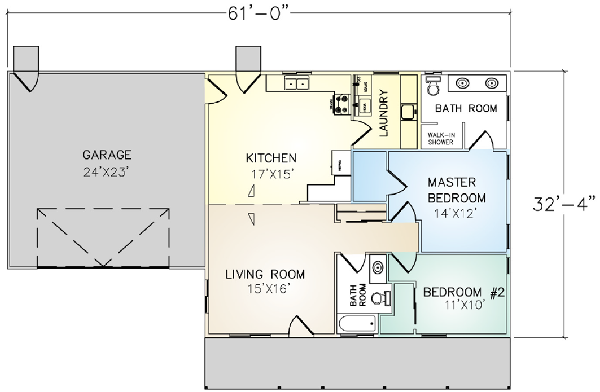 The master bedroom and bath offer abundant storage space, with a walk-in shower and double sink area. 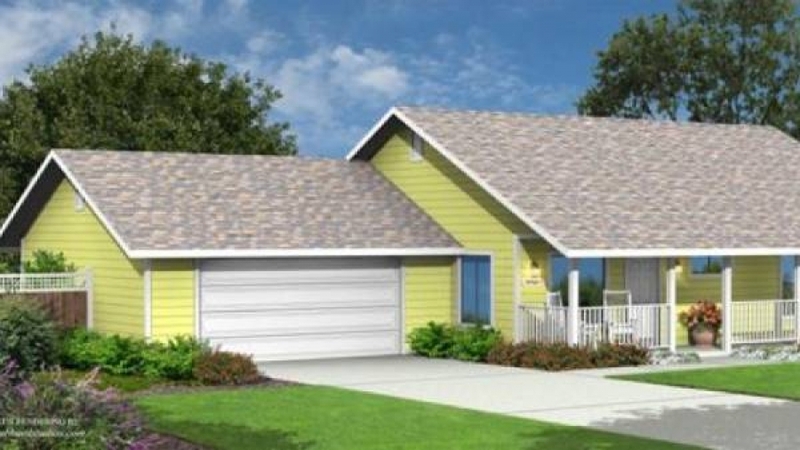 The two-car attached garage can be modified or detached if required.